I can’t believe we only have a couple of weeks until the schools break up for summer holidays. I honestly do not know where the time has gone. Josie will be going into year 5 in September, and then comes the hyperventilating as next year I am going to have to put Josie down for which secondary school and put Rowan’s name down for starting school. Being a parent in the holidays is completely exhausting. Being a working mummy consists of juggling childcare and fun. Rowan is still at nursery so this gives me some time with Josie, plus I need to also work. I am lucky in the respect that I can mix up working form home and myself and Antony will share looking after the kids. The juggling of 6 weeks of childcare does have it’s advantages as the days you do have together are even more special. The last few years Josie has gone to summer day camps but she is at the age she doesn’t want too. She loves me working from home as she can have a chill day as she calls it. I really do cherish the moments I spend with the children, memory making at every available opportunity. I am going to try and do a plan of activities as August is an awful month money wise as we also have Josie’s birthday, plus days out also Josie is like a dustbin and in the holidays she eats me out of house and home. However we did get some fabulous photos in this time, one being the main feature photo above. I absolutely loved this picture as this captures both of their characters perfect. With their vast height difference, getting a photo of them together is fun and games. But this was one of those moments which I wasn’t expecting to capture such a beautiful photo of them both. This past few weeks, you can really see Josie is growing up and her features are all changing again. Josie absolutely loved doing Josie-Cam on our day in the life (I did have to cut 20 minutes off) that girl can chat! We have had tons of school events, again another tricky time when working, plus working 45 minutes away from her school so it is not easy to just pop in to an event. We have had Josie’s KS2 School Play, which she was a monkey. Obviously she was my favourite monkey by far. She also has had her sports day and school fair. During the fair she showed off with her peers their cheerleading skills, they have been doing this as an after school activity which Josie has really enjoyed. Coming up we have Josie-Ann’s birthday next month, she was just before the school cut off so she is the youngest in her year. We are taking her to the Harry Potter studio tours in Watford on her birthday, which she is so excited about. I love how she is still as excited about her birthday as she was at Rowan’s age. Surprisingly Rowan has also changed in character, both good and bad. The terrible two’s has certainly kicked in and he has been extremely testing at times, but he has the most adorable mischievous face just as he is about to do something naughty and the cheesiest smile when he is doing something in which he is not meant to be doing. The biggest change has been, finally Rowan has been coming out of his shy shell. Before he wouldn’t make eye contact or talk to anyone other than us or nanny, this is why I love vlogging especially as people can see he can talk and smile. But recently he has come on leaps and bounds. At home he is talking in full paragraphs, but he has also been saying the odd work to people. We went this weekend to do Rowan’s favourite weekend treat of going to the bakery for a cake, and he even said ‘bye’ this was a big deal for Rowan. He even gave mum’s friend a kiss and cuddle…see this has been a massive improvement. 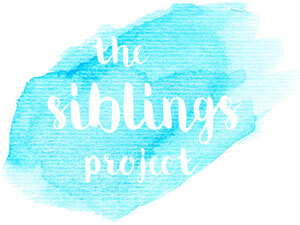 I hope you have enjoyed reading our Siblings Project July, and would love to hear of any days out recommendations for the summer. Always look forward to these posts – love seeing what you’ve all been up too! Lovely to hear Rowan is starting to come out a bit too!